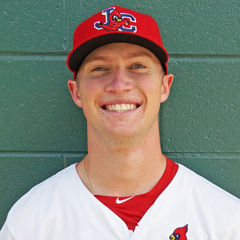 The Johnson City Cardinals are the Rookie League affiliate of the St. Louis Cardinals. The team is the western-most club in the Appalachian League, which is composed of 10 teams in Tennessee, Virginia, and West Virginia. Coming off a 33-34 season, the Cardinals were looking to improve upon last year. With products like Nolan Gorman, St. Louis’ first round pick in the 2018 First-Year Player Draft, many in the community expected the team to be competitive, especially considering the club’s history of success in the Appalachian League. However, the Cardinals finished in a tie for third place in the Appalachian League West Division with a record of 31-37. Instead of taking a step forward, the team took a step backward. It might be expected that the Cardinals finished the season with a better record at home than on the road; interestingly, that wasn’t the case. In fact, they were far superior. Away from TVA Credit Union Ballpark, the team finished with a record of 18-17, whereas the team only mustered a record of 13-20 on their own turf. Appalachian League play opened on June 18. The Cardinals began the season in Bluefield against the Blue Jays and dropped two of three. In the end, June was the best (and shortest) month of the season for Johnson City, as they went 5-5 with only one genuine series win. After that, things only went downhill. In July, the team went 13-15, which isn’t all that terrible. The toughest stretch was in the middle of the month when the club lost five straight games, and six out of seven. In August, the final month of the season, Johnson City went 12-15. Coming into August, the Cardinals were still in contention for a Wild Card playoff spot, but shortly after the middle of the month, things began to look bleak. The team wasn’t officially eliminated from contention until the final series of the season against the Kingsport Mets, but it was evident virtually everything would need to break right in order to make it to the postseason. And that did not happen. Perhaps the biggest issue Johnson City faced on the season was the pitching staff. As a team, the Cardinals finished with an ERA of 5.61, which was second to last in the Appalachian League. There were a couple of bright spots, however, including Appalachian League All-Star Tommy Parsons, and lefty Evan Sisk out of the bullpen. The offense had spells of hot and cold stretches, but when things were going well for the Cardinals, it was largely because of the offensive output. As a team, Johnson City hit .273 (third) with 75 home runs (first) and 394 runs scored (fourth). Notable players include 3B Nolan Gorman, OF Kevin Woodall, and OF Jonatan Machado. The Cardinals position players committed 76 errors on the season, with Michael Perri and Moises Castillo botching the most plays, with 10 each. For individuals who played in more than half the games, Jonatan Machado was among the steadier defenders, committing only one error in 49 games. At times, the Johnson City defense was impressive, making seemingly difficult plays. Other times, however, a two-out error ending up costing the team several runs in an inning. On one occasion, the Cardinals committed three consecutive errors towards the end of the season while in a playoff race. 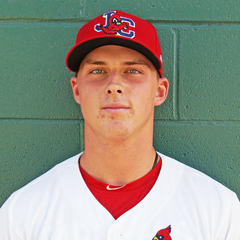 Nolan Gorman – The first rounder was with the Cardinals for 38 games before receiving the promotion to Peoria. During that time, he slashed .350/.443/.664, with an OPS of 1.107. Gorman launched 11 home runs and notched 28 RBI. He displayed a cannon of an arm at third base, showing an ability to field a ball on the line past the bag and firing a missile across the diamond to record the out. Jonatan Machado – The Cuban native started the season hot, and while he was unable to keep that pace, the outfielder never really trailed off. His final line in Johnson City was .292/.355/.375. 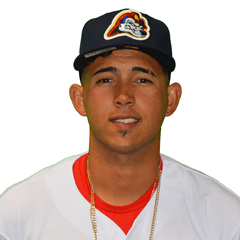 Machado spent the majority of the season with the Cardinals before making the jump to State College. Prior to his promotion, Machado logged 21 RBI and swiped nine bags. Leandro Cedeno – The big 1B/OF spent a lot of his time overshadowed by Gorman and Machado, two big name, big money prospects. Once those two were promoted, Cedeno really began to come into his own. Although he was prone to strikeouts (69 on the year), there was a lot of power in his bat. Cedeno ended 2018 with a .336 average and 14 home runs. Tommy Parsons – In his first year in professional baseball, Parsons did not disappoint. He was selected to the Appalachian League All-Star Team along with Gormam. In the end, the free agent signee went 5-1 with a 3.00 ERA and 43 strikeouts, cementing himself as the best and most reliable option on the Johnson City starting staff. Evan Sisk – While the bullpen and staff as a whole routinely faltered, Sisk was an undeniable bright spot for the Cardinals. The lefty appeared in 20 games, logged a 1.76 ERA through 30 2/3 innings, and picked up five saves along the way. Sisk also recorded 35 strikeouts and a batting average against of .211. Although the Cardinals had some significant bumps in the road in 2018, there were some shining stars to hit the diamond. It was a treat for the team and fans alike to be able to view the likes of Nolan Gorman play so well so quickly at such a young age. In his second season at the helm of the Cardinals, Roberto Espinoza and his club experienced a regression in terms of wins and losses. Obviously, some of it is out of his control, and it’s safe to say that had the pitching been even marginally better, then Johnson City would have played postseason a baseball, a milestone the team also missed a year ago. Despite ending the season under .500, the Cardinals managed to remain in the playoff hunt down the stretch, being eliminated by only two games. The team and fans will turn their attention to the 2019 season, hopefully to see another big name first rounder take to the field at TVA Credit Union Ballpark. Link to master article with all 2018 award winners, team recaps and article schedules for the remainder of this series. Of course, that will include our selections as the Johnson City Cardinals Reliever, Starting Pitcher and Player of the Year. Contact Brett Barnett at BARNETTBM1@mail.etsu.edu.